• New to the Valaco Archive? Read this first. • Questions? Contributions? Actionable Intelligence? Contact us here. When is the archive, and where? What form does it assume before taking place? Is the archive merely visible, or does it also see for itself, also organize vision? Is it most akin to history, to memory, or to dreams? Might the archive share certain properties with the collection, or the atlas? Or do these latter only manage to necessitate or to obviate the archive? Is the matter of the archive somehow specular, aleatory, or aspirational? Does it issue from reason, spring forth from the irrational, or water the ground between? These, among others, are the questions that inform the structure and rationale of the Valaco Archive project in its continual evolution. Specifically, our aim is to to produce, assess, catalog, and interpret the evidential record of one Roberto Constantín Valaco (conceivably born Robert Konstanz Wälke), notional author of an enigmatic manuscript found in an obscure municipal archive in Buenos Aires, Argentina, in 2004. 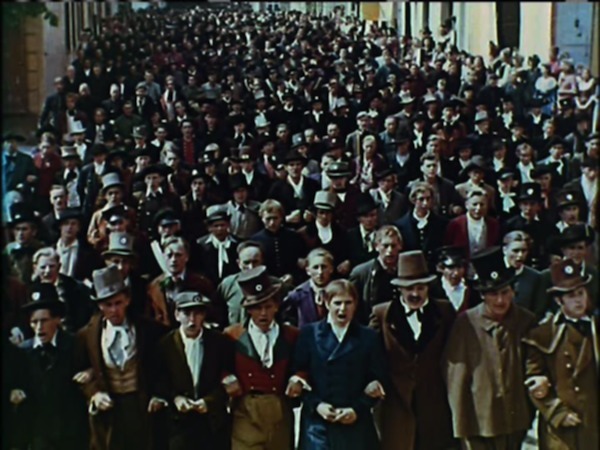 The group for Research on Experimental Accumulation and Speculative Archives (REASArch) has thus assumed as its point of departure certain indications of Valaco’s role as a movie extra in the last and costliest film production of the Third Reich (he but one of the twenty thousand-odd German soldiers recalled from the front lines for that purpose). Through critical and aesthetic engagement with a complex assortment of visual, textual, material, and conceptual elements, we strive to lend substance to Valaco’s wanderings from war-sundered Europe to the South American continent. Principal among our ambitions, subsequently, is the (re-)construction of a memory that would bear witness to the densely sedimented imaginary of a singular, if indeterminate, historical persona.